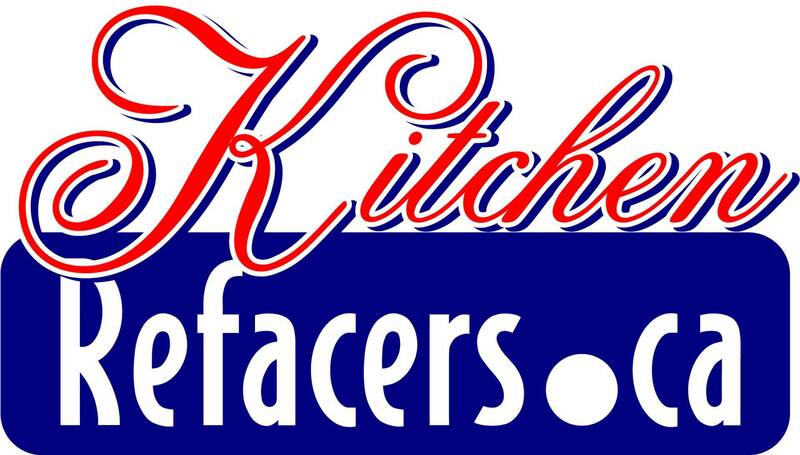 Thinking about just replacing your cabinet doors and drawer fronts. We offer either Wood or Thermo wrap doors. When replacing your cupboard doors we can make any custom size needed. Our cabinet doors are made by Future Doors. Superior elegance, workmanship and durability is put into each door. 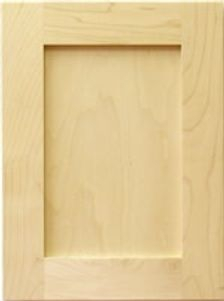 For more information click here wood cabinet door replacement. View the different doors options and styles. Thermoplastic (PVC), is a polymer compound manufactured without pollutant emissions, using a water-based adhesion process allowing for a manufacturing process that is also emission free. Thermoplastic can be recuperated and is 100% recyclable. The cut-out leftover pieces from the manufacturing process are bundled and sent to a recycling facility. MDF is made of 100% recycled or salvaged wood particles, amalgamated using a preparation of resin, that can be urea formaldehyde free. This EPP (Environmentally Preferable Product) certified medium-density fiberboard is certified to respect the standards and requirements that allow for collecting LEED (Leadership in Energy & Environmental Design) points and USGBC (US Green Building Council) environmental building credits. See what it takes to makes a better cabinet door. The doors have an appearance that can easily be mistaken with real wood doors but are actually made of a mixture of compressed pine fibers (MDF), melamine and polyester. They are easy to clean, resistant and matches to the majority of melamine colors on the market. It is important to avoid a continuous or repeated contact with a source of moisture or extreme heat. 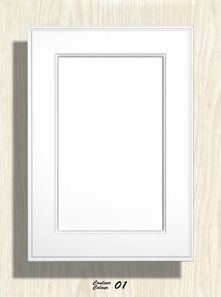 Replacing cabinet door cost average price runs between $10.50 and $18.00 per square foot. This depends on the the market you are in, the style and profile of the cabinet door you select. This is only an estimate. Other factor to consider are. Type of hinge to be incorporated into the door. Special drilling location for the hinge. 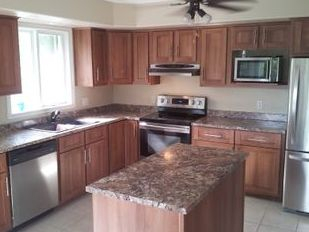 Will the doors need to be installed by a cabinet company?